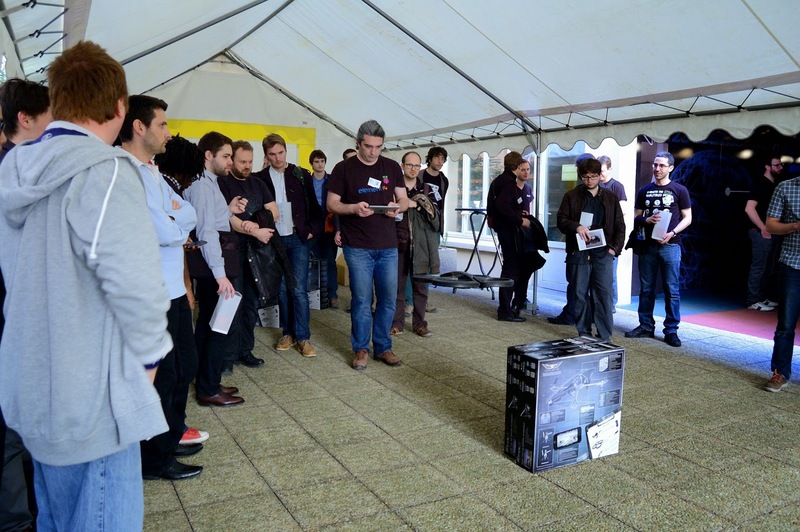 On Saturday, April 5th, we traveled all the way across France from Montpellier to Paris to meet Parrot's team for the Game of Drones Open Day. The day began with some lovely weather, and we couldn't wait to meet everyone there. Claire and Marie-Charlotte from the HR team welcomed us with a smile and some delicious homemade pizzas from the vintage pizza truck parked in Parrot's yard for the occasion. 48 CodinGamers among the finalists had made the journey (several from the four corners of France! ), and altogether we were a group of nearly 100. Impressive! It was good to chat with some well-known nicknames to which we could finally put a face. As for the atmosphere, we had cool music, tables weighed down with piles of sandwiches, enormous baskets of fresh fruit, drinks, candies and cakes of all kinds :-) We of course tried the drones, especially the terrible track with the inflatable balloons, and a quiz held in the afternoon gave us an extra chance to win Flower Powers. Upstairs, several open workshops presented the different R&D projects currently in progress. 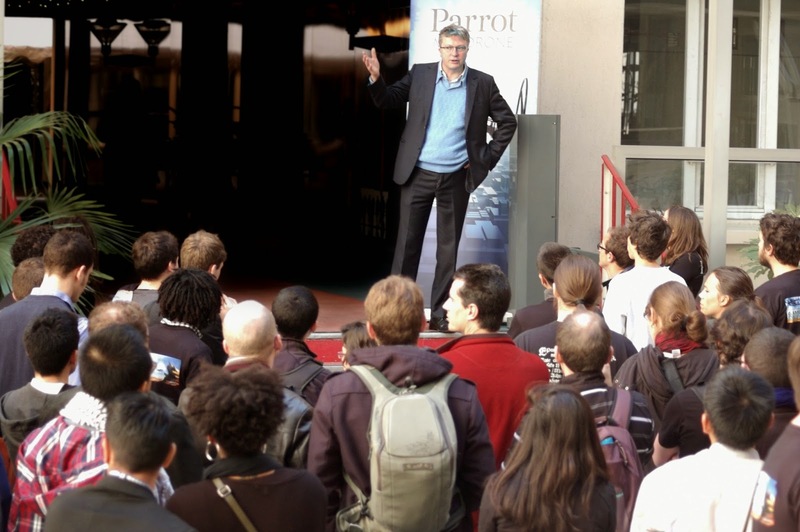 Towards the middle of the afternoon, Henri Seydoux, CEO, introduced Parrot and proceeded to the distribution of prizes to the winners who were there. We were astonished to learn that Loujo (1st place) is not a professional developer at all, but a oboe teacher at a Conservatory! He never learnt programming at school but loves coding in his free time... In light of his performance and fantastic code review, who would have thought? All in all, thanks a lot to the Parrot's teams who organized this fantastic day, and thanks to all the CodinGamers who joined! 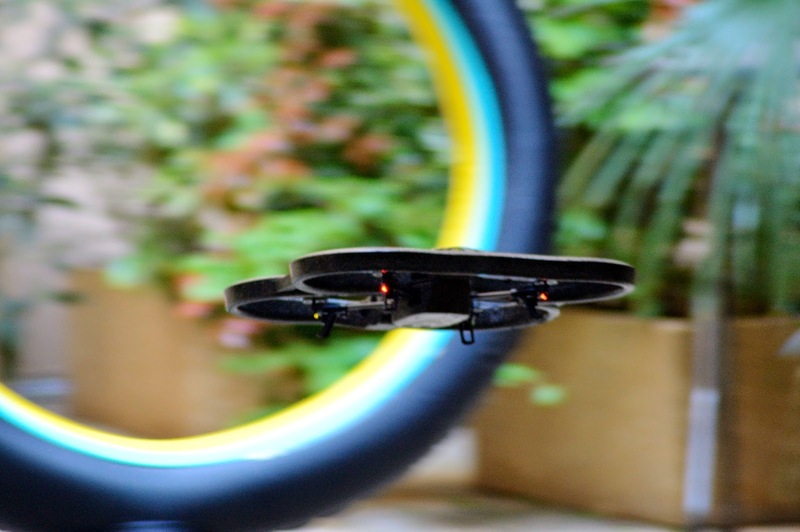 The Game of Drones challenges is now available on thetraining page! Nice of you to post the opening of Drones. Cheers!